Google or Facebook you offer advertising based on your requests. You have already probably noticed that when you are doing some Internet search, for instance looking for your next holiday destination, Google or Facebook you offer advertising based on your requests. This may seem actually useful, since it may lead you to find what you were looking for. But be aware that this advertising is done through abusing your privacy. Indeed, the only way to provide targeted advertising is to monitor users’ data. On the one hand, Google uses tools such as browsing history, search preferences. On the other hand, Facebook uses your publications, references and your likes & comments.Targeted advertising will increase exponentially with the revolution of mobile devices such as Google Glass. Twitter which started late on this niche has already tested several initiatives. Twitter wants to position itself as a space where users can comment the live programs they watch on TV. Thus in 2012, according to Twitter, over 32 million Americans have written tweets about their favorite TV program. The micro-blogging site has also launched a new advertising product that enables brands to target users who have watched a program in which has been broadcast one of their adverts: a video fingerprinting technology is to detect automatically the identity of the brand which advertising has been on television. The micro-blogging site is then responsible to target users who have tweeted about the program in which the ad ran, then a sponsored tweet of the brand concerned will appear on their newsfeed. The system is being tested in the United States for advertisers using television advertising campaigns at the national level. Using a VPN shall encrypt all of your communications and data transfer on the Internet. Thus, the web giants cannot analyze your browsing information and can no longer offer you ads based on your personal data. 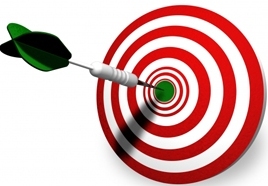 In addition, targeted advertising also uses geolocation to increase its effectiveness. With a VPN, you can easily change your IP address by selecting a hosting country between several servers worldwide. The VPN allows you to hide both your personal information and your country. Your connection is made reliable and anonymous, and you can surf freely, away from prying eyes.